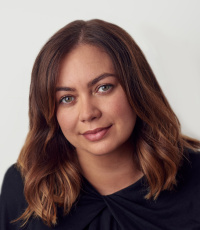 Jenna began her career in Real Estate in 2006 as an Executive Assistant and Trainee Land Buyer for Aitch Group, a prominent London residential property developer, specialising in The City and East End. In 2011, Jenna joined Knight Frank, assisting the heads of Mayfair and Marylebone and their respective sales teams. In 2012, Jenna progressed to Total Image Manager for the Mayfair Sales team and by 2013 she was tasked with the role of Sales Negotiator for properties sub £4.5m in Mayfair, St James's, Soho and Covent Garden. Jenna went on to become responsible for running the sub £5m market team in Mayfair and progressed to an Associate Partner of the firm in 2016. Jenna was awarded the prestigious title of Negotiator of the Year in both 2015 and 2016 for her outstanding track record in sales along with her exceptional care and commitment to her clients. In October 2016 Jenna decided to embark on a new challenge and opened her own residential estate agency in the East End of London, where her passion for all things property began.